Deputies from the Darke County Sheriff’s Department said a juvenile female driver failed to yield at a stop sign, resulting in a rear end collision between two vehicles. GREENVILLE – Both drivers suffered minor injuries as a result of a two-car accident Friday. 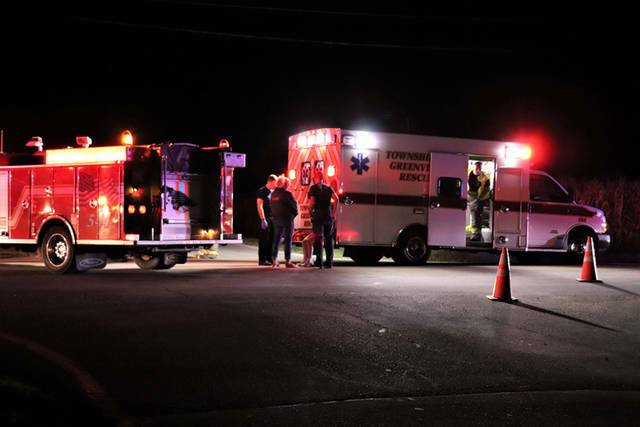 At approximately 10:10 p.m. Friday, emergency personnel from Greenville Township Fire and Rescue along with deputies from the Darke County Sheriff’s Department were dispatched to the intersection of State Route 118 and Horatio-Harris Creek Road for an injury accident. Arriving units found two vehicles with moderate front and rear end damage with airbag deployment. 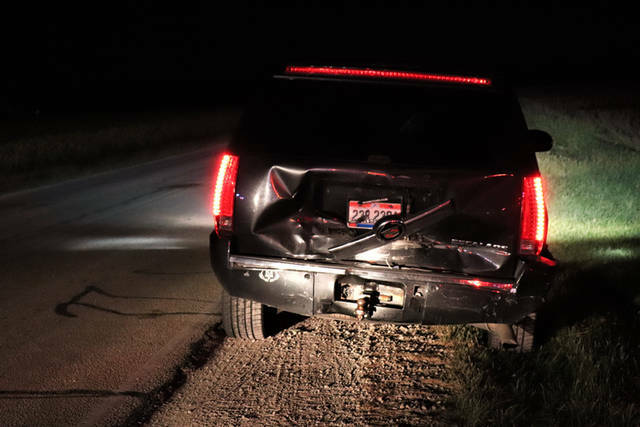 According to the Darke County Sheriff’s Department, preliminary investigations revealed a black Cadillac Escalade was headed eastbound on Horatio-Harris Creek Road when it stopped at the posted stop sign at the intersection of State Route 118. 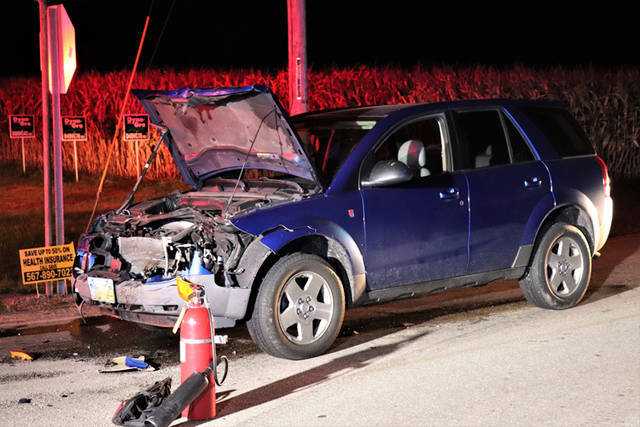 A blue Saturn Vue, also traveling eastbound on Horatio-Harris Creek Road, failed to yield at the same stop sign at the intersection, resulting in a rear end collision between the two vehicles. Both the juvenile female driver of the Saturn and the male driver of the Escalade were treated on scene by Greenville Township Rescue for minor injuries before refusing transport to the hospital. Two passengers on board the Escalade were not injured in the accident and refused treatment on the scene. This entry was tagged crash, Darke County Sheriff’s Department, Greenville, Greenville Township Fire, Greenville Township Fire Department, Greenville Township Rescue. Bookmark the permalink.